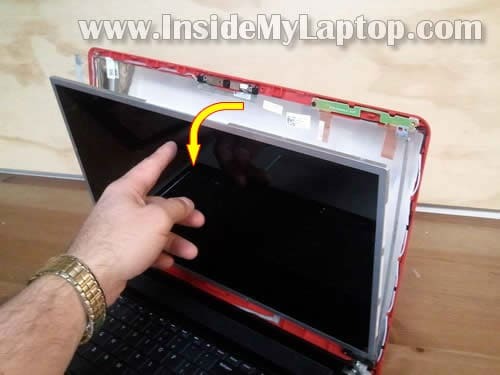 In this guide I explain how to replaced LCD screen on Dell Inspiron 1750 laptop. It’s very easy to take apart the display panel on a Dell Inspiron 1750 and the entire replacement process took me about 30 minutes. 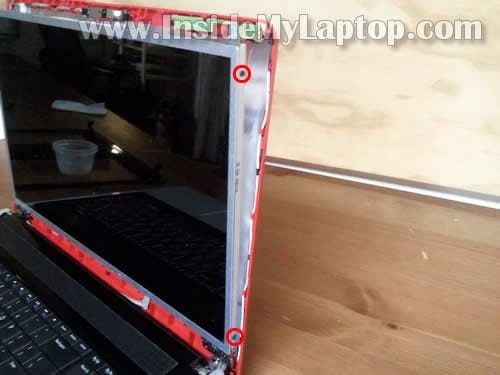 The display bezel secured to the back cover by hidden plastic latches, there are no screws. Insert your fingers under the bezel somewhere in the webcam area. Wiggle the bezel and separate it from the display cover. Continue separating the bezel on the top of the display assembly. Move to the bottom part of the bezel. 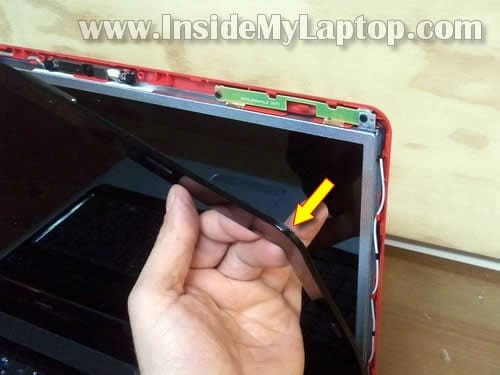 Lift up the bezel and separate it from the display cover in the hinge area. There are eight screws securing the LCD assembly to the display cover. Remove two screws on the top of the display. Loosen (do not remove completely) six screws on the bottom of the display. Carefully separate the back cover from the screen just enough to access screws on side mounting brackets. Remove two screws from the right bracket. Remove two more screws on the left bracket. Now you can place the LCD face down on the keyboard. The video cable connector is located on the back. Remove sticky tape securing the video cable connection. The LCD screen is ready for the replacement. 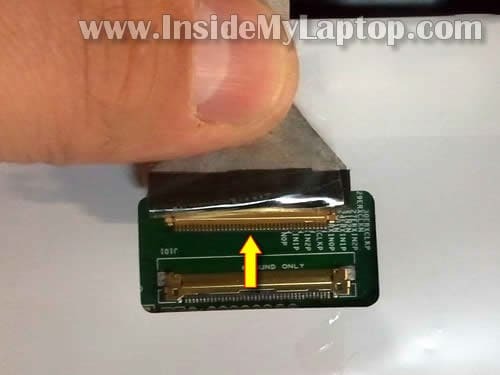 In my previous post I explain how to replace laptop keyboard. I have a Dell Inspiron N5110, my screen just turn bad couple days ago. It showing me some strips in the entire screen. I don’t know if the Graphic-card is bad, or the LED-screen went bad, or something else. Anyone can help me solving this issue? First of all, test your laptop with an external monitor connected to the VGA port. If external video works fine, there is nothing wrong with the graphics card. 1. Could be bad connection between the video cable and motherboard or LCD screen. It’s not likely but possible. You can try reseating the video cable on both ends. 2. If reseating the cable doesn’t help, try the following. 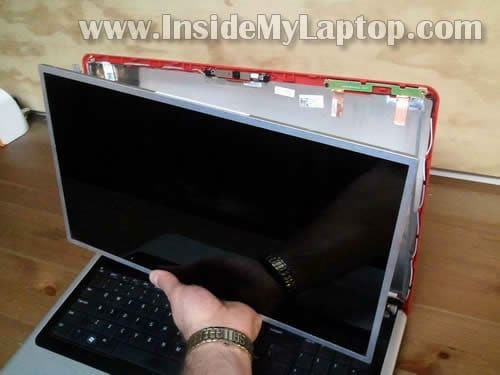 Disassemble the display panel and turn on the laptop. 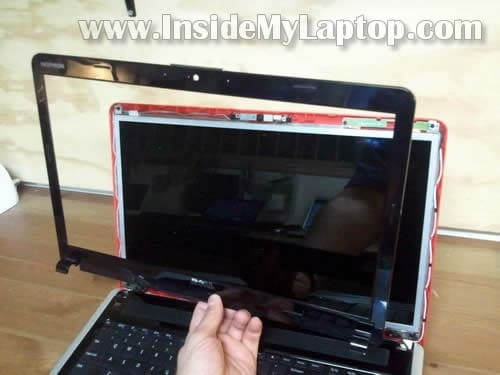 Now move the video cable a little bit and look on the laptop screen. If video changes somehow when you move the cable, this could be bad video cable. Try replacing the cable. 3. If moving the cable doesn’t affect video at all, probably this is bad LCD scree. Replace the screen. I didn’t know it’s so easy to replace the screen. I though I’ll have to take apart the entire laptop not just display. Thanks. My screen works now. Yes it’s relatively easy. If you work slowly and pay attention to details, even a novice can do it. 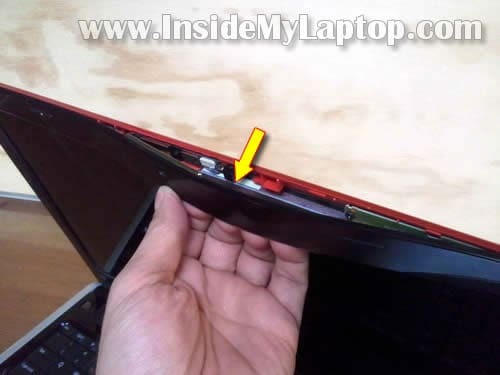 The LCD cable on my Dell 1750 laptop was broken by the lid hinge. Can someone tell me how to replace t? 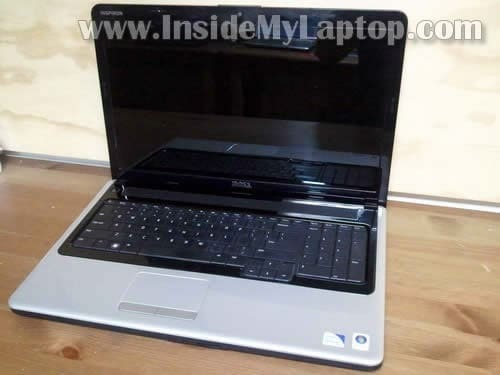 Here’s Dell™ Inspiron™ 17 Service Manual. The manual explains how to remove the palmrest assembly and access the video cable. Basically you’ll have to remove the palmrest assembly and disassemble the display panel in order to access and replace the video cable. I was going to modify my wireless card’s antenna so that in the case that i need or want to I could add an external antenna for better range. However, when i took the lid off of the laptop base, and the cables out of the hinges, I neglected to notice how the cables were routed around the hinges. This includes the video cable, webcam cable, and the antenna cables. Could you post pictures of how these cables are routed? I’ve searched the web, tried many times to get them back to the way I think they should go, but nothing I try looks like it did before. If you could, thanks. If not I’ll keep trying. Thanks. I neglected to notice how the cables were routed around the hinges. This includes the video cable, webcam cable, and the antenna cables. Could you post pictures of how these cables are routed? I don’t have a close up picture of these cable. Not sure why you are experiencing a problem. Probably wires have some memory and it’s shouldn’t be very difficult to figure out how to route them. Not sure if it helps. Pics are pretty small. Great site btw. I have followed your guides and fond that my cable is faulty. it has several breaks at the hinge. 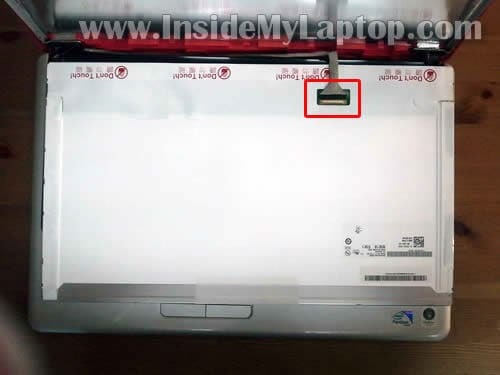 You can buy replacement video cable for Dell Inspiron 1750 laptop on eBay. 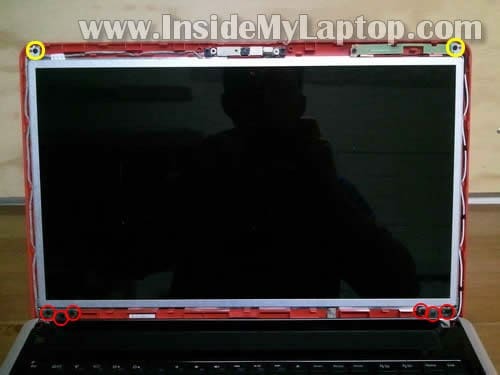 I am looking for a Dell Inspiron 1750 replacement LED screen model LTN173KT01-D01. I cannot find one with the right connections anywhere and its driving me nuts!! Can someone point me in the right direction?? Thanks! THANK YOU FOR YOUR WEBSITE !!! Where is the switch located that turns the screen on and off when you open/close the lid? I have replaced damaged LCD cable and tried a new screen but still no image at all on screen. Suddenly thought about this switch but don’t know where it is! ….must be around the hinge somewhere? Suddenly thought about this switch but don’t know where it is! 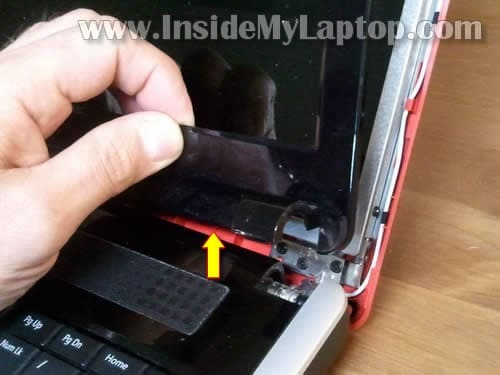 Most likely this laptop has a magnetic lid close switch – a small magnet (located somewhere inside the display) activates the switch (located somewhere inside the laptop body) when the laptop is closed. Can you get image on the external monitor? 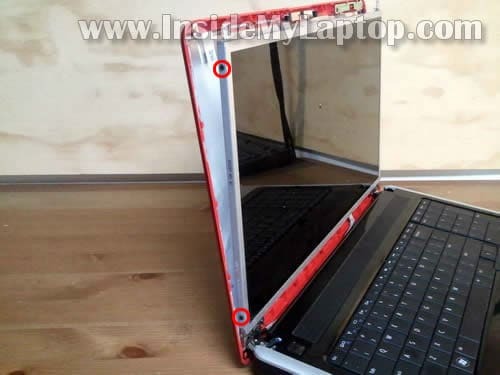 Maybe there is nothing wrong with the screen and you have a failed motherboard. Make sure the video cable connector properly.